Are you ready for flu season? 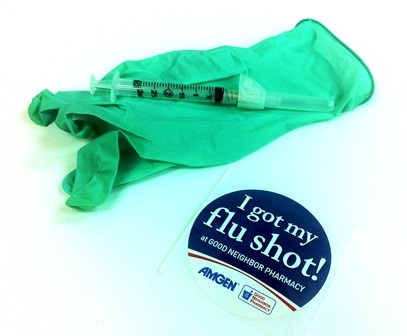 It is wise to get a flu shot, even as late as February. Are you traveling to a foreign country? Do you know what immunizations you need? Even if you do not believe there is a risk, or if you have been there before, some countries require American Citizens to be vaccinated prior to thier trip. Here is a list of vaccinations offered by Bernie's Pharmacy without a prescritpion.